Discussions, book presentations and launches, interviews, animated readings, tours, quizzes – there are plenty of events on offer across the three days. The Campus Book Festival, organised by the National Book Council in collaboration with Għaqda tal-Malti – Università, is now in its sixth edition, and from its inception it has aimed at providing a space for Maltese publishers and authors to promote their work with a mature audience, such as university students. Only a few weeks are left until the launch of the festival on March 27 at the University quadrangle. Students as well as the public are invited to engage in the festival activities, that all revolve around books: discussions, book presentations and launches, interviews, animated readings, tours, quizzes – there are plenty of events on offer across the three days. Some of the book-related activities are listed in this article and more details on all events will be shared on the Campus Book Festival Facebook pages. In line with the new global trend in soaring poetry book sales, this year the National Book Council has made a point to give some much-needed space to poetry, notably under-represented despite statistics showing a growth in its popularity – particularly among teenagers and young millennials (see https://www.theguardian.com/books/2019/jan/21/poetry-sales-soar-as-political-millennials-search-for-clarity). British poet, literary critic and translator Rod Mengham has been invited as the festival’s foreign guest. Dr Mengham’s main interests are 19th and 20th-century English literature, especially Dickens; the 1930s and the 1940s; and contemporary fiction and poetry. He will be at the festival across the three days and will take part in three main activities: a session about translating poetry with professor of translation theory Clare Vassallo and translator Kevin Saliba; a book-club activity with English-Language students centred around his latest book Grimspound and Inhabiting Art (Carcanet); and a much-awaited interview with Maltese poet Antoine Cassar. Yet another poetry event is being organised by the National Book Council for Antoine Cassar’s Erbgħin Jum (EDE Books) on March 29. Last November, Erbgħin Jum, a book-long poem about childhood trauma, depression, and walking as self-therapy, won Antoine the National Book Prize for poetry. On March 27, the poet will be interviewed by Prof. Adrian Grima, the poet and academic who has been part of the Inizjamed team and of the organisation of the yearly Malta Mediterranean Literature Festival. Antoine Cassar will also be interviewing Zvezdan Reljić on his latest publication Wiċċna (EDE books), a book that features aesthetical, anthropological and literary essays on aspects of physiognomy, identity and photography, each written in a different language that has influenced Malta throughout its history. On March 29, respected Christian spirituality academic Fr Charlo Camilleri and PhD candidates in Philosophy Kurt Borg and Robert Farrugia Flores will tackle Gioele Galea’s memoir Tħabbat Xtaqtek: Djarju mill-Eremitaġġ (Horizons) from both a spiritual and a secular point of view. The book is a poetic diary/memoir recounting the author’s authentic experience at the St Girolamo hermitage in the green heart of Perugia. The prose is more than diaristic; it is a subtle and elegant narrative depicting a persona in search of God, experiencing the despair of doubt. The National Book Council is bringing together publishing ex­perts to discuss the importance of proofreading and editing in the process of book-making. During the event, Elizabeth Cortis, an English language proofreader, book editor and owner of Proofreading Malta, Keith Attard, a certified proofreader, and BDL publisher Audrey Cassar and Merlin Publisher editor Kristina Chetcuti will tackle topics that are of interest to publishers, editors, proofreaders and writers alike. Among others, they will be discussing issues like identifying what type of editor one should hire; the different levels of editing; self-publishing versus working with a publisher; and the benefits of recruiting an editor. Two books in translation will also be launched during the festival. On March 27, Faraxa Publishing will present L-Intruża and L-Għomja, the translation by Prof. Toni Aquilina of two tragedies by Maurice Maeterlinck. On March 29, Horizons will launch Mademoiselle Perlé u Aktar, a translation of the book by Guy de Maupassant, and during the event Prof. Dominique Lanni will discuss the role it plays in French literature. A discussion about the key features in producing a film based on a literary work of art will take place on March 29 and will be based on Camilla, the winner of the 2018 NBC Malta Short-Film Literary Contest. Subtitling adaptation, translation and text adaptation will be the main topics. The event will bring together director Stephanie Sant, who together with writer Teodor Reljić adapted Clare Azzo­pardi’s short story Camilla into the film screenplay and translated the Maltese dialogues into English subtitles; Dr Giselle Spiteri Miggiani, who introduced audiovisual translation as a new area of studies at the University of Malta; and Shadeena’s producer Martin Bonnici. A special treat to this year’s Campus Book Festival is an exhibition of books and their related sketches and illustrations throughout the three days of the festival. Local artists Jon Grech, Marisa Attard, Moira Scicluna Zahra, Steve Bonello, Julinu, Raymond Dominic Grech, Steven Scicluna and Marco Scerri will exhibit original sketches that found their way to become a book cover. Each of the artists’ initial sketch or illustration, as well as the respective published book, will be on display. 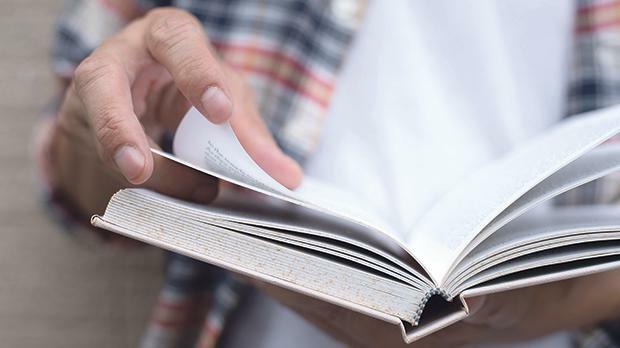 The Campus Book Festival 2019 will run at the University of Malta’s quadrangle in Msida from 9am to 4pm on March 27 and 28, and from 9am till late on March 29. For updates, further details and the full programme of events, visit the NBC Facebook page and the festival’s event pages below.